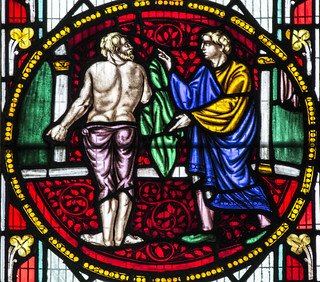 To clothe the naked, to visit the sick , to bury the dead. The Rule gives equal weight to the corporal and spiritual works of mercy, reflecting StBenedict’s theology that, for humans, flesh and spirit are inseparable. Both must be cared for, trained, and nurtured in the ways of holiness. When either is disrespected, the other cannot fully develop. Hildegard of Bingen and her monastery were forbidden to have the Eucharist for months after she buried a repentant excommunicate in their cemetery. Christians in many places around the world are in danger when they recognize Christ in the refugee, the injured, the dead. May we who know less danger be no less diligent. Previous What should we give to the poor? Next Would we really help a stranger?